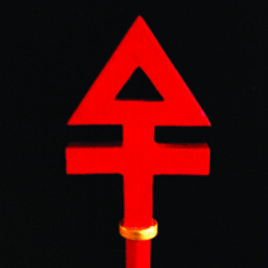 The Rose Cross Wand is a non-traditional Golden Dawn-style wand created by Chic and Tabatha Cicero and featured in the books Secrets of a Golden Dawn Temple and Creating Magical Tools. 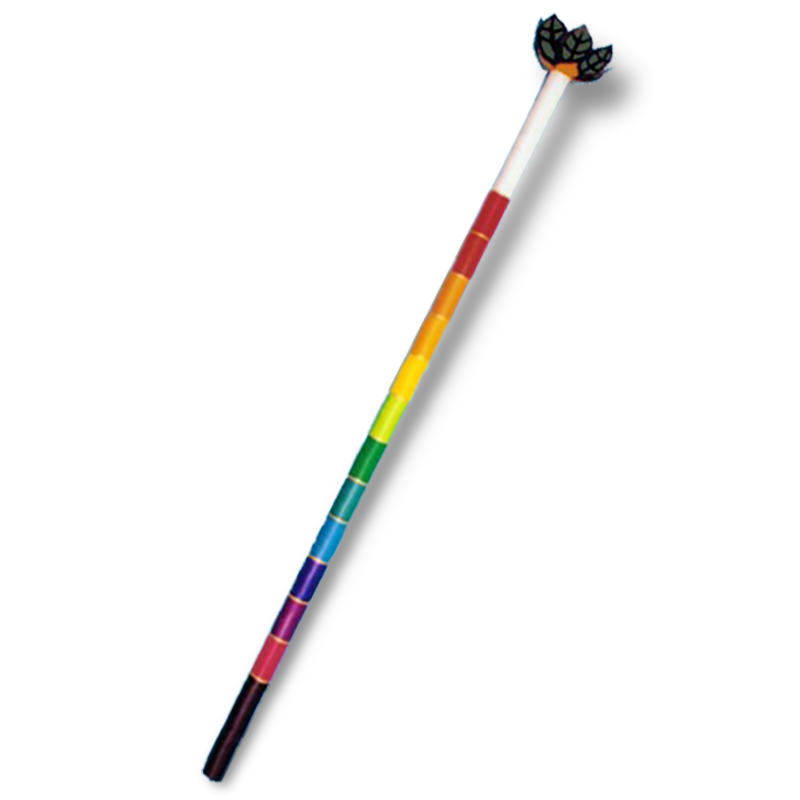 It was designed specifically for use in the traditional Rose Cross Ritual of the Second Order. 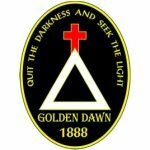 The Rose Cross is one of the emblems associated with the sixth Sephirah of Tiphareth, the sphere of beauty and equilibrium. 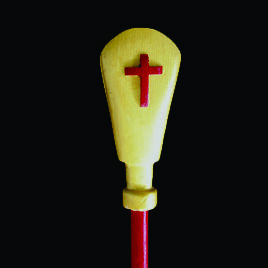 The color of the head of the wand denotes the illumination of LVX, the divine light of the cross. The cross stands upon a single golden ring which alludes to Tiphareth. 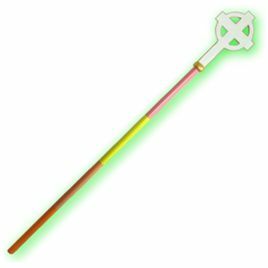 The shaft of the wand is divided into the colors of Tiphareth in each of the Four Worlds of the Qabalah in descending order: Tiphareth in Atziluth—pink, Tiphareth in Briah—yellow, Tiphareth in Yetzirah—Salmon, Tiphareth in Assiah—Yellow-orange. 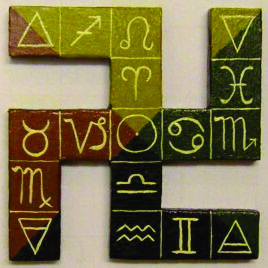 Grasping the wand by any of these four bands in performance of the Rose Cross Ritual, or a meditation on Tiphareth, can help the magician explore the sixth Sephirah in these specific Qabalistic Worlds.